Catholic priests serve primarily as mediators between God and man, linking the human and divine realms through the person of Christ. They are, in the words of St. Paul, "ministers of Christ and the dispensers of the mysteries of God" (1 Cor. 4:1), "taken from among men yet appointed for men in the things that pertain to God" (Heb. 5:1). Priests thus form an indispensible bond uniting heaven and earth. Catholic priests serve primarily as mediators between God and man, linking the human and divine realms through the person of Christ. They are, in the words of St. Paul, ministers of Christ and the dispensers of the mysteries of God, taken from among men yet appointed for men in the things that pertain to God. Priests thus form an indispensible bond uniting heaven and earth. The priest must be careful not to allow an unbalanced concern for personal perfection to lead him to overlook any part of the duties of his office which are conducive to the welfare of others. These duties include the preaching of the word of God, the hearing of confessions, assisting the sick, especially the dying, the instruction of those who are ignorant of the faith, the consolation of the sorrowing, leading back the erring, in a word, the imitation in every respect of Christ, who "went about doing good, and healing all that were oppressed by the devil" (Acts 10:38). Anyone who exercises the priestly ministry exercises it not for himself alone, but for others. 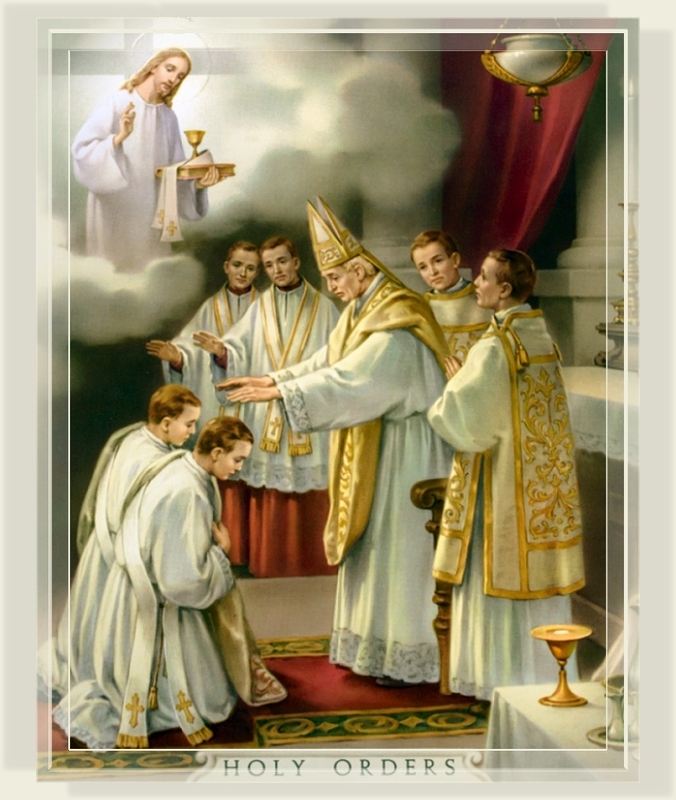 For "every priest taken from among men, is ordained for men in the things that appertain to God" (Heb. 5:1). Christ himself taught that lesson when he compared the priest to salt and to light, in order to show the nature of the priestly ministry. The priest then is the light of the world and the salt of the earth. Saint Charles Borromeo gave apt expression to this thought when, in his discourses to the clergy, he declared: "If we would only bear in mind, dearly beloved brethren, the exalted character of the things that the Lord God has placed in our hands, what unbounded influence would not this have in impelling us to lead lives worthy of ecclesiastics! Has not the Lord placed everything in my hand, when he put there his only-begotten Son, coeternal and coequal with himself? In my hand he has placed all his treasures, his sacraments, his graces; he has placed there souls, than whom nothing can be dearer to him; in his love he has preferred them to himself, and redeemed them by his Blood; he has placed heaven in my hand, and it is in my power to open and close it to others . . . How, then, can I be so ungrateful for such condescension and love as to sin against him, to offend his honor, to pollute this body which is his? How can I come to defile this high dignity, this life consecrated to his service?"